Commissioner for Children and Young People for Northern Ireland, Koulla Yiasouma, reappointed for a further four years. The Secretary of State for Northern Ireland, the Rt Hon Karen Bradley MP, today announced that she has reappointed the current Commissioner for Children and Young People for Northern Ireland, Koulla Yiasouma, for a further four years. In the absence of Ministers in the Northern Ireland Executive, this reappointment was made under the Northern Ireland (Executive Formation and Exercise of Functions) Act 2018. The first four year tenure of office of the current Commissioner expires on 1 March 2019. The Secretary of State has reappointed Ms Yiasouma for a further term, until 1 March 2023. My priority is to continue working hard to restore devolved government at Stormont. Until that is achieved, I have taken steps to ensure continued good governance and the delivery of public services in Northern Ireland. The role of Commissioner for Children and Young People is incredibly important. I am pleased to reappoint Koulla Yiasouma, who over the past four years has diligently brought her weight of experience to safeguard and promote the best interests of children and young people in Northern Ireland. I wish her all the best in her new role. The principal aim of the Commissioner for Children and Young People is to promote and safeguard the rights and best interests of children and young people. To promote: (a) an understanding of the rights of children and young persons; (b) an awareness of the importance of those rights and a respect among children and young persons for the rights of others; and (c) an awareness of matters relating to the best interets of children and young persons. To take reasonable steps to ensure that: (a) children and young persons and their parents are made aware of: (i) the functions of the Commissioner; (ii) the location of the Commissioner’s office; and (iii) the ways in which they may communicate with the Commissioner; (b) children and young persons are encouraged to communicate with the Commissioner; (c) the content of any matter published by the Commissioner takes account, so far as practicable, of the age, understanding and usual language of any children or young persons by whom it is intended that such matter will be read and of the effect of any disabilities they may have; (d) the views of children and young persons and their parents are sought concerning the exercise by the Commissioner of his functions; (e) the services of the Commissioner are, so far as practicable, made available to children and young persons in the locality in which they live. The Commissioner has a number of powers, including conducting investigations, conducting or commissioning research and issuing guidance on best practice in relation to any matter concerning the interests of children and young people. The reappointment of the NI Commissioner for Children and Young People takes effect from 2 March 2019 to 1 March 2023. Ms Yiasouma has served a first term from 2 March 2015. This appointment is remunerated and attracts a salary of £75,000. Koulla brings a wealth of knowledge and experience to the job having dedicated much of her working life to championing the rights of children and young people. This reappointment was made in accordance with the Code of Practice issued by the Commissioner for Public Appointments for Northern Ireland. All appointments are made on merit and political activity plays no part in the selection process. However, the Commissioner for Public Appointments for Northern Ireland requires the political activity of the appointees to be published. Koulla Yiasouma has not declared any political activity in the last five years. 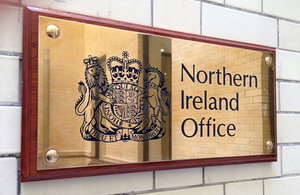 These appointments are made by the Secretary of State with regard to the equality provisions set out in section 75 of the Northern Ireland Act 1998; The Commissioner for Children and Young People (Northern Ireland) Order 2003; and, the Northern Ireland (Executive Formation and Exercise of Functions) Act 2018, as amended by the Northern Ireland (Ministerial Appointment Functions) Regulations 2019.